Mariam Manzur-Leiva was born and raised in Argentina, where she taught ESOL courses at the elementary, intermediate and high school level. She came to the US as Fulbright Scholar in 2006, and later earned an M.A. in Spanish Language and Literatures, along with graduate certificates in Latin American & Caribbean Studies and Cuban Studies, from University of South Florida. More recently, she has obtained certificates in Online Teaching, Online Proctoring, Online and Hybrid Instructional Design and E-Learning Ecologies from University of South Florida, University of Central Florida and University of Illinois, respectively. She joined her alma mater’s Department of World Languages as a full time instructor of Spanish in 2010, where she taught intermediate and advanced level Spanish courses and supervised the First Year Spanish Online Program. She co-led the USF Study Abroad Program in Argentina ( 2010-2013) and the first USF Global Citizens Study Abroad Program in Panama (2013). In 2016, she was awarded the “Excellence in Education” Award at the Viva Tampa Hispanic Heritage Festival. At NCF, she teaches Elementary, Intermediate and Spanish Oral and Written Communication classes and she is the Spanish TA Program Supervisor. 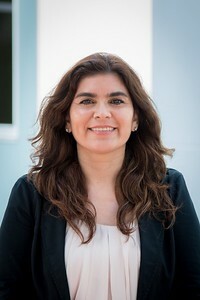 Currently, her primary research interest is the development and implementation of E-Learning technologies and their impact on teaching methodologies for Second Language Acquisition Higher Education classes. “Classrooms without Boundaries: The Impact of Digital Technologies Implementation in our Pedagogical Practice”. Lectores para la Justicia Conference, University of Buenos Aires- Law School. (Nov. 2017).